Dehumidifiers are a great way to solve the problem of excess moisture in your home. Moisture can cause mold and mildew, which can lead to health issues for you and your family if they are exposed to these issues for long periods of time. It’s important to spot the signs of needing a dehumidifier quickly to avoid too much moisture in your home for extended periods of time. But what are the signs of needing a dehumidifier? And what size should you use in your home? Keep reading and we’ll give you all this information and more about finding the right dehumidifier for your home. Let’s start with the basics. What is a dehumidifier? The dehumidifier is a machine that sits in a room of your home and pulls moisture from the air. When your home’s humidity levels are regulated, dust mites, mold, and other allergies find your home inhospitable, and will not take up residence! Your home may be experiencing high levels of humidity due to everyday things like cooking on your stove top or drying laundry, or something more serious like old windows. If you find condensation on your window panes, or even dripping down your walls, that is a sure sign of too much humidity. A dehumidifier is simple to use. You plug in the unit, make sure the water reservoir is connected properly, turn it on, and off it goes. It will start to pull the excess humidity from the air immediately, and you only need to empty the water trap when you notice it’s filling up. This is an incredibly simple way of explaining the inner workings of a dehumidifier, but the main point is they’re easy to set up, and simple to use! Like we discussed above, a dehumidifier is needed when there is excess humidity in the air of your home. There are a few tell tale signs that your home is swimming in moisture, and that a dehumidifier could help. If your home shows any of the following signs, consider investing in a dehumidifier. You’re seeing mold. Mold spots are the number one sign that there is too much water in the air of your home. Mold may appear in your bathroom and kitchen and typically takes the form of round black spots. When you’re showering (or cooking on a stove top) the steam raises into the air and without an escape like an exhaust fan, it has nowhere to go! Instead, it hangs onto your walls, causing moisture to seep into your home and eventually turn to mold. Water droplets are visible on walls and windows. Condensation is another sign of humidity that is easily recognizable. Bead of water will gather in the corners of your windows, or on appliances, signaling that the items are improperly sealed. The best way to combat condensation is to find the source of the problem. Is one set of windows covered in water more than another? If so, place a dehumidifier in this area of your home and see if the condensation lessens. Water is inside – not outside – your home. Unfortunately, some homes are prone to water run off. If you noticed your basement floor feels a little damp, or even see water marks after a rainfall, this is a sign that groundwater may be seeping into your basement. 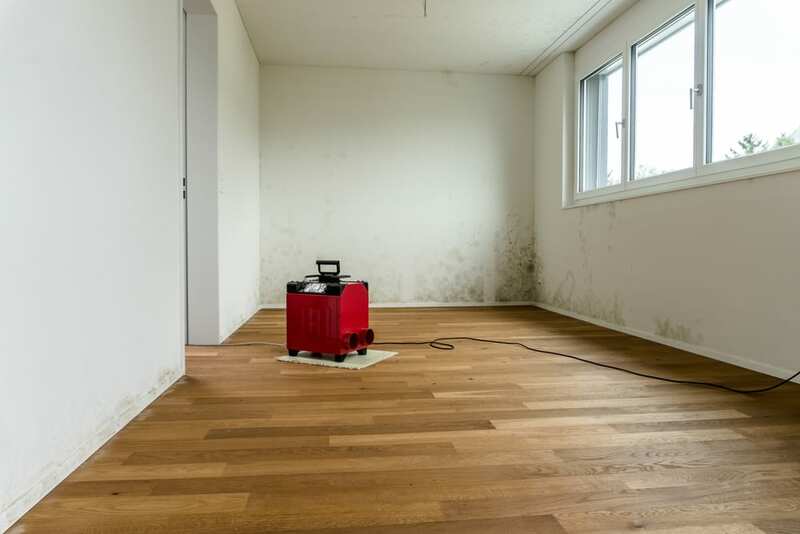 A basement dehumidifier can be incredibly helpful until you find the root of the problem, and will help to keep your basement dry and mold free. Your home smells musty. If your home is not smelling as fresh as it should, you may be breathing in the effects of mold and mildew. These issues thrive in a humid environment, and start to collect where there is water seepage, like garages and basements. If your home smells musty try to find the cause of the problem right away. Mold is not something that should be left untreated. Have a professional come in to take care of the problem and prevent recurrences or spreading. Then place a dehumidifier in the area to keep moisture out. The musty smell can be removed by using an ozone machine (which can be rented from home improvement stores!). Windows and doors are showing signs of rot. If your window sills and outside doors are showing signs of rot, you may have a big moisture problem. Rotting wood can attract other pests like termites and can be a breeding ground for different mold types. If you see rotting wood, correct the problem as quickly as possible. This will not only prevent the extra moisture but will help maintain the integrity of your home as well. These are just a few signs to watch for that may signal the need for a dehumidifier in your home. They may also be the start of a bigger issue. You’ve determined that you need a dehumidifier, but what size do you need? While dehumidifiers come in many shapes and sizes, don’t get overwhelmed when you’re selecting which to bring into your home. However, choosing the proper size of dehumidifier is important to how effective the machine will be in removing excess moisture from your home. In order to determine what size dehumidifier is needed, follow these steps. Use a hygrometer. While this may sound like something a professional should do, a hygrometer is readily available at any home repair shop. Use this to determine the accurate amount of humidity in each room, or area, of your home. Look at the signs of humidity in each room. Like we talked about above, there are a few ways to tell if humidity has taken over your home. It is important to take into consideration the effects the water has had in the room when deciding on size. Are you dealing with mold? What about puddles of water? Does the room just smell damp? Levels of water range from “extremely wet” to “moderately damp”. Dehumidifiers will specify what type of jobs they can easily handle. Determine the airflow in the room. Airflow is important as it tells you exactly how much work your dehumidifier will have to do. Airflow is connected to the conditions you’ve determined in the step above, and range from 6 (extremely wet) to 3 (moderately damp). Time do to some math! Now it’s time to figure out the square footage of the area where you’ll place the dehumidifier. Determine the square footage first. Then multiply the height of the room by the square footage to get the cubic meters of the room. This will be the number you use when shopping for dehumidifiers. Use this information to choose the right machine. Armed with your airflow, moisture levels, and cubic meters of your room, it’s time to shop. 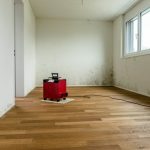 Home improvement stores will have several options of dehumidifiers to choose from, and the information that you’ve gathered will be the deciding factor in which you’ll purchase. Overall, a dehumidifier is a nice to have for any home that may suffer from excess moisture. Using the guide above will help while shopping for a dehumidifier, but if your moisture problem has spread to mold or mildew, the experts at A&J Property Restoration DKI is here to help. 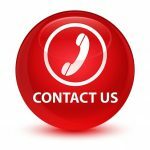 Our professionals will kill and remove the mold from your home, and work to ensure it does not return. We’re here to help – and look forward to working with you.